Dear Students, Written Test of IAS Prelims 2019 is scheduled to be conducted on 02nd June 2019. We hope, you all will be preparing very well. 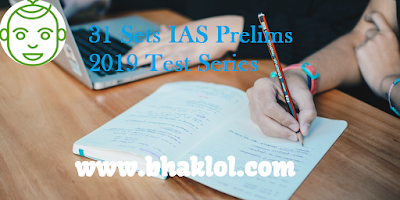 We are sharing 31 Sets of IAS Prelims 2019 Test Series With Solutions PDF which you may download from the link given below and attempt all the tests and check your score.